Why Don’t We Have Upgradeable Consoles? Consoles have become much more than just gaming machines. At this point, console-makers like Sony and Microsoft devote large portions of their most important press conferences to telling us what their consoles can do other than play games. Play music? Check. Watch DVDs? Check. Stream audio and video? Check. At this point, you can check on your stocks, browse the Internet, check the scores from the big game last night, read the news, get the weather, and even follow the Presidential election Face it, consoles have essentially become miniature computers at this point in all aspects except one: upgradability. If I wanted to, I could easily open up my computer, swap out whatever pieces I wanted, and put it back together. And it would still run all of my games and software (given that I am running the same OS.) However, there’s only one real way to upgrade a console, and that’s buying a new console. Moreover, the term “upgrade” is a little fuzzy when there is always the chance that your old software will become obsolete on the new console. Nothing is really stopping us from having upgradeable consoles other than the existing publishing model for consoles themselves. One of the big advantages of consoles is that developers always know the exact specs of the machine they are developing for. Unlike PC games, which have to be made flexible for a variety of different setups, a PS3 will always have the specs of a PS3. This means consumers don’t have to worry about the specs of their machines when buying a new game. They don’t have to think about whether or not they have enough VRAM to play BioShock Infinite on launch day, for example. Instead, they just purchase the game and pop it into their Xbox. Consoles have always been preferred because of their simplicity and accessibility. Of course, this isn’t to say that upgrading can’t be made simple and accessible. Just look at the Piston, the tiny computer designed to run Steam in Big Picture mode. This computer essentially puts all of its important electronic components on one board. By swapping that board, the Piston can be upgraded to play newer games that require more powerful specs. 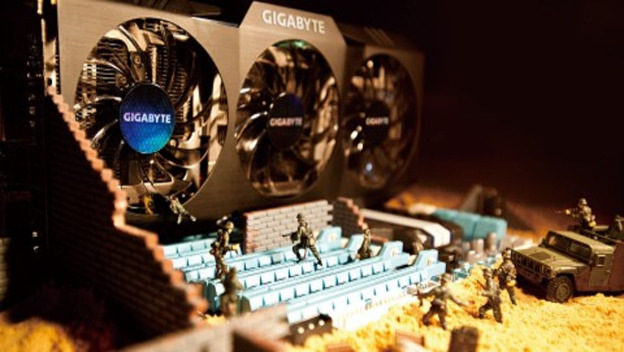 (These cards are proprietary, so you can’t just sink in any graphics card you like.) This is a great way to simplify the upgrade process. Just take out Card 2 and insert the better Card 3. As long as that’s all that needs doing, the greater gaming populace should be able to handle it. After all, people have been upgrading their PS3 hard drives for a while now, and few have accidentally ruined their PS3 by doing so. Of course, hardware is just one side of the problem. Software is the other. On one hand, we already upgrade software quite often on our current-generation consoles. Patches have become commonplace, as have system updates for OSes. But we still aren’t able to upgrade to a next generation OS, and this is largely limited by the inability to upgrade hardware as discussed before. The PS4 OS, for example, assumes a lot of things. It assumes you’ll have a stereoscopic camera hooked up, for one. It also assumes that you’ll have a certain amount of RAM so that it can start doing things in the background. There are a lot of things the PS4 will do without even consulting you, like predicting your game tastes and sharing your live gameplay with others on the Internet. If we tried to do all of this on the PS3, the system would just crumble. Upgradeable consoles are also a double-edged sword in terms of cost. On one hand, it’s cheaper to produce replaceable parts than it is to produce a whole console. On the other, if you sell that console at a loss hoping to make back your money on software, then you would have to sell your upgradeable parts at a loss as well. Since upgrading your console would be optional and would only be required for the games that play it, console producers could stand to lose money. 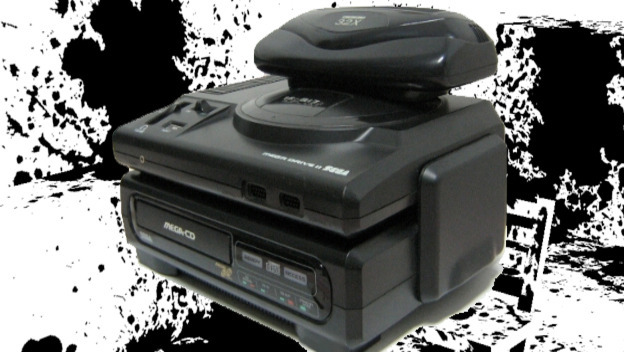 Upgradeable consoles would also be a nightmare for developers. While these developers could make a variety of different games for a variety of different specs—which would mean they wouldn’t necessarily have to stay on top of all of the newest technology, thus making game development cheaper—they would have to make sure that their games work on every possible configuration of console hardware. Or, at the very least, they’d have to make sure the game requirements are advertised obviously enough that people would easily know if their personal machine could run the game. Nobody wants to get crashes or blue screens of death on their console, after all. So there are pros and cons to upgradeable consoles, but the question remains: Should consoles become upgradeable in the future? In my humble opinion, it seems inevitable. As I said at the beginning, consoles are already becoming more and more like PCs, and the upgradeable hard drives in our current console generation show that upgradeability can be handled by the common gamer. Also, the gaming world will eventually become crushed by its own speed of advancement if consoles don’t become modular. Aside from giving a big boost to backward compatibility, modular upgradeable consoles will make console gaming cheaper and easier to get into for much of the populace. Perhaps in another ten or twenty years, we will be sliding upgrade chips into our brand new PS5.